April 9, 2018 -- Exploring radiology during the Nazi regime is more than just about remembering its victims -- it's about keeping ethics at the forefront of practice, according to German researchers. Only by studying the past, can one safeguard the future, they insist. 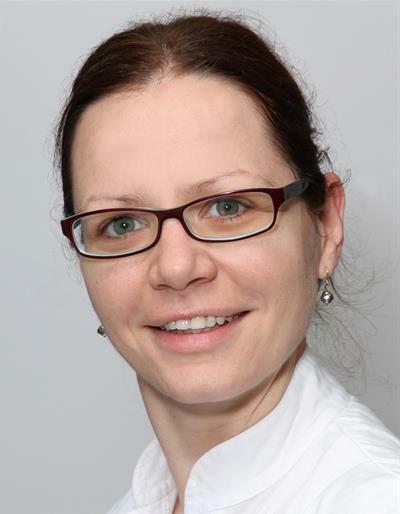 Dr. Franziska Eckert, lead author of Facing the Guilt and Commemorating the Victims: German Radiology and Radiation Oncology During National Socialism, published in the April edition of the Journal of the American College of Radiology (JACR, April 2018, vol. 15:4, pp. 669-673), said she had always known about atrocities committed during the Third Reich against Jews, other minorities, and people with disabilities -- particularly those acts supposedly carried out in the name of medical progress. 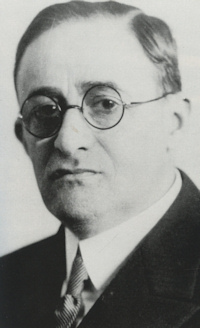 The discovery that 160 Jewish radiologists were persecuted, while several German radiologists were implicated in war crimes, and the further family revelation that her own grandfather had been an SS officer training soldiers to fight in eastern Europe, triggered a need to know more about radiology's role during this period. Unethical behavior starts small and snowballs, Dr. Franziska Eckert said. "Through shedding light on this chapter in imaging, our aim is to promote understanding of the profession's responsibility whenever we are presented with a questionable choice," Eckert told AuntMinnieEurope.com. "There may be little risk of the same atrocities repeating themselves, but unethical behavior starts small and tends to snowball." Eckert, a radiation oncologist at the University of Tuebingen, points to the institute's deep association with the horrors of Nazi Germany. Indeed, much of the race biology present in Nazi ideology was formulated by graduates and professors from Tuebingen, leading to the persecution of the Sinti people as well as the radiation experiments at Auschwitz. "Medical staff, theologists, psychiatrists, military officers, and lawyers directly affiliated with Tuebingen were responsible for the deaths of 400,000 to 600,000 Jews in eastern Europe," Eckert noted. "One of the most infamous figures from this period is Kittel, a Tuebingen theologist who was profoundly anti-Semitic and favored The Final Solution." Collaboration between the German Radiological Society (DRG, Deutsche Röntgengesellschaft) and the German Society for Radiation Oncology (Deutsche Gesellschaft für Radioonkologie [DEGRO]) from 2010 to 2014, led by medical historian Gabriele Moser, PhD, aimed to reveal the specifics of radiology and radiation abuses during the Third Reich. The team's research was published in several articles and a traveling exhibition, which now is located in Ingolstadt. The group discovered the exclusion of 160 Jewish radiologists from the DRG in 1938. After September 1938, Jewish physicians were no longer allowed to treat "Aryan" Germans and only very few were licensed to treat Jewish patients. Among those removed from the DRG were Gustav Bucky (known for the Bucky factor in x-ray diagnostics) and Leopold Freund who earlier performed the first successful radiotherapy procedure. Moser and her colleagues also learned about several honorary DRG members who had been involved in radiation experiments at Auschwitz and who planned sterilization and racial-profiling strategies for future implementation by the SS. One such member was Prof. Hans Holfelder, head of the radiology department in Frankfurt am Main, who implemented the "Röntgen Assault Unit of the SS" ("SS-Röntgen-Sturmbann"). Using a mobile chest x-ray unit, he planned to screen for tuberculosis while simultaneously permitting undercover racial profiling to be conducted by the SS to set up a "Volksröntgenkataster" (a race and x-ray registry of the population). "Whereas the plan for affected Aryan Germans was treatment of the disease, Polish people with tuberculosis identified by the mass screenings were designated for 'special treatment'-- a Nazi euphemism for murder," the authors noted. Moser could not determine how far this plan went, according to Eckert. The research also revealed that Holfelder was involved in sanctioning the radiation experiments in Auschwitz ahead of the plan to sterilize east Europeans who were to be used as cheap labor. 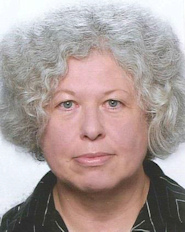 Gabriele Moser, PhD, medical historian. Copyright Gabriele Moser. Germany had already implemented forced sterilization in 1933 with the Law for the Prevention of Hereditarily Diseased Offspring, and in 1936 the government allowed sterilization with x-rays or intravaginal radium for women ages 38 or older. According to the authors, around 2% of 360,000 forced sterilizations (7,200 women) were carried out with radiation techniques. Holfelder and high-ranking SS leaders commissioned Dr. Horst Schumann to determine how x-ray irradiation could be used for mass sterilization of "inferior" races. Schumann subjected approximately 1,000 concentration camp inmates to irradiation of the ovaries and testicles. Prisoners developed skin reactions and gastrointestinal symptoms, and some underwent oophorectomies or orchiectomies for histological analysis of the irradiated tissue. Many irradiated prisoners became ill, couldn't work, and presumably were then exterminated, while those who survived suffered from later radiation-induced illnesses, the authors noted. Eckert points out these experiments were conducted by German doctors despite "Guidelines for new therapy and human experimentation" published in Germany in 1931 -- guidelines that didn't apply to Jews because they were considered subhuman. "Thus, published ethical guidelines are no safeguard for unethical experiments, especially in the context of categorizing people and ascribing different values to them," she stated. Teaching should connect well-known figures in the field, such as Bucky and Freund, to their historical context and persecution. Details should be included about the abuses conducted in radiology and radiation, particularly Schumann's Auschwitz experiments. Teaching also should highlight how injustice was not limited to concentration camps, but was part of everyday medical life in the form of forced sterilization or euthanizing patients -- even children -- with physical and mental disabilities. Those involved in such experiments and abuses identified on the DRG honorary list -- including Holfelder and Dr. Kurt Blome, deputy Reich physicians leader -- were stripped posthumously of their honorary DRG membership in 2014. The thought that these people, with their ingrained prejudiced ideology, trained the generations immediately before her own is a challenging one, according to Eckert. "They formed our profession, so we must be vigilant and participate in regular self-reflection," she said.